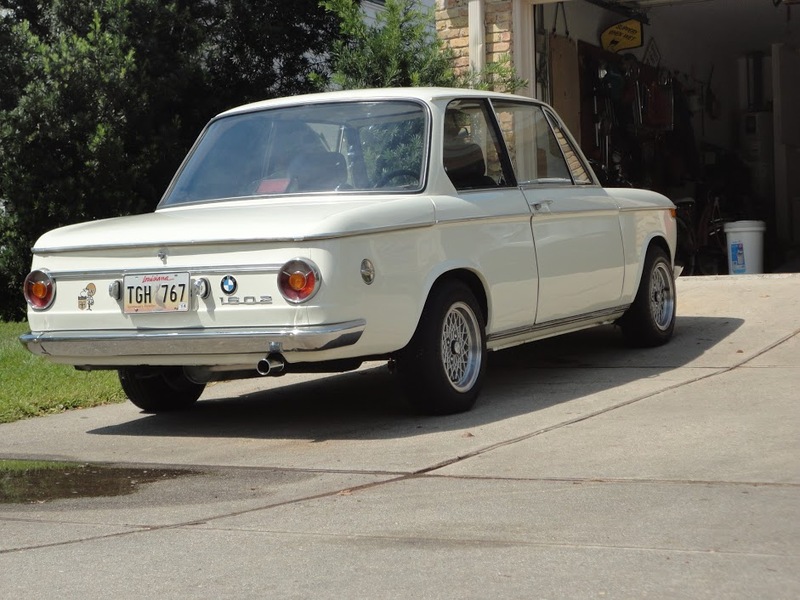 It’s about time for another classic BMW feature. Why? Being needlessly partial to the members of the RustyButTrusty fleet, perhaps. 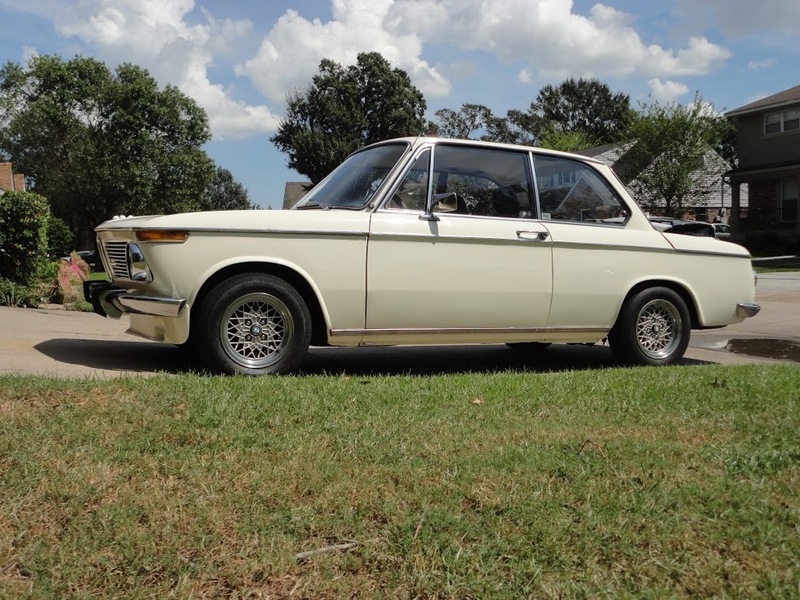 But you just featured an E23, you say… well, from the E12 onwards, things were far more civilized and luxurious, while the E10/Neue Klasse cars are in the vein of earlier BMWs with spartan all-vinyl interiors, four cylinder engines, 4-speed transmissions and drums on the rear wheels. It is hard to believe that you can find an early spartan car for the same price as a 15-year-old with all the luxury gewgaws. 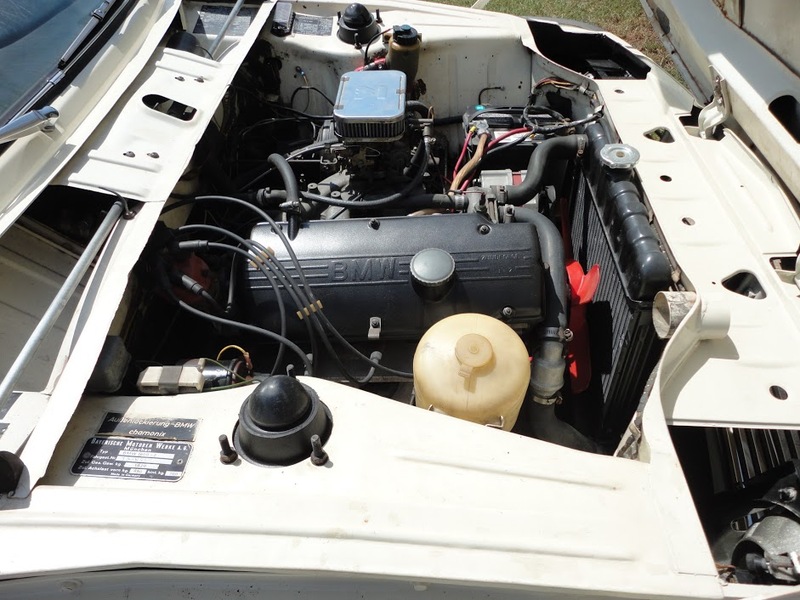 Anyway, enough blather – you can find this 1969 1602 with a 2002 engine for $4000 in New Orleans, LA. First reactions – wow, this is super-clean! Why is it not 2 or 3 times the price?! Well, as usual with old cars, it might be rust. So let’s take a look. There’s no visible rust from the outside, and the wheels and spoiler look like restrained upgrades from the 1980s, suiting the car quite well. The white paint has a nice gloss, and there’s no sign of a tacky repaint with overspray, and the car is in its original Chamonix white color. Interior has nicely redone E21 Recaros that replaced the old E30 sports seats. The dash looks decent, carpet looks new, and there’s an aftermarket (Momo?) wheel to point you around corners. 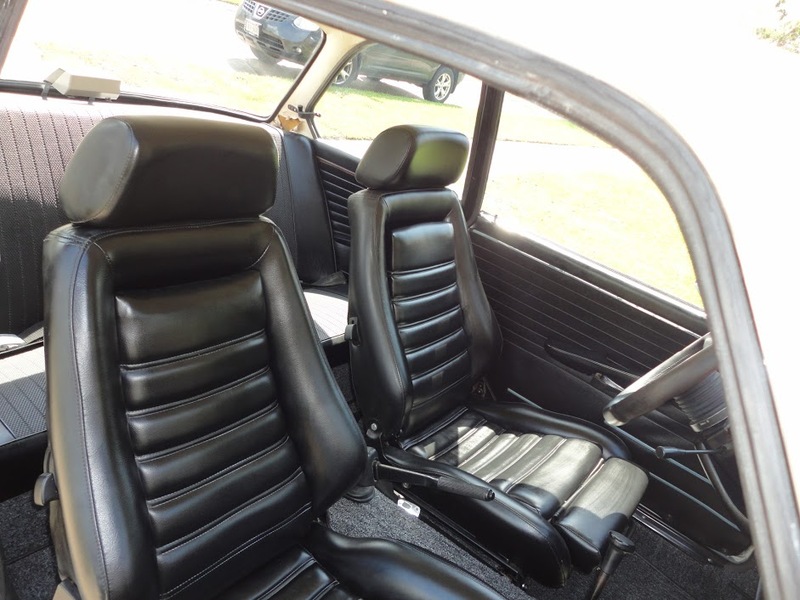 Most affordable unrestored cars have worn, dirty carpet, torn seats, and more. Okay, no fooling around now, what’s the deal with this car? Well, the seller has kindly provided an extensive photo gallery. And you can see there are various rust spots. However, most appear to be minor or at least treated to stop things progressing. Shock towers look good from inside the trunk, but some detail shots suggest there is work needed. Either way, it’s worth a few detailed questions, and perhaps it’s okay for a driver that’s stored indoors when it’s not in use. Great from this angle too. The 1602 badge is kind of lying, but in a good way. Call it a white lie. The car has so many new and rebuilt parts it’s hard to list them all, but suspension, ignition, fuel, and lighting have all been improved. If you’re in New Orleans, or even if you aren’t, this car is worth a closer look. Comment back if you make it out to see it. This entry was posted on October 13, 2013 at 5:00 am and is filed under Feature. You can follow any responses to this entry through the RSS 2.0 feed. You can leave a response, or trackback from your own site.